Your stem has to resist flexing during sprints and accelerations, clamp securely to the fork and handlebar, and support your weight over significant impacts. Its a difficult job, but the new Service Course stem is still able to combine strength, stiffness, and reliability at a weight of 130 grams (100mm). High-strength 3D-forged construction and 7075 aluminum deliver an exceptional strength-to-weight ratio while allowing for smooth lines to complement the aesthetics of modern frames. 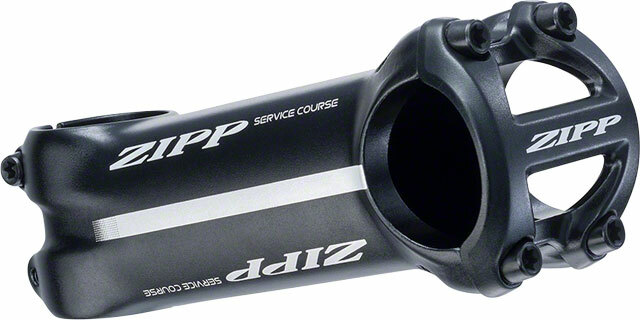 During production, Zipp takes extra steps to ensure precise length and alignment across a range of fourteen sizes to meet any riders fitting needs. 84 degree angle. 31.8 mm clamp diameter.